Summerlicious just hasn’t worked out for me this year. Usually I try to go to as many restaurants as possible, but I’ve been swamped with work lately so that wasn’t possible. I did make it out to dinner at Sambucas on Church last week though, and I’ve got a reservation for another restaurant later this week. My friend Tori had given me her wish list of restaurants that she’d like to eat it. Out of all of the restaurants, Sambucas on Church stood out for their variety and value. For $25 (before tax and tip), we enjoyed a three course meal that included lobster. Not bad! 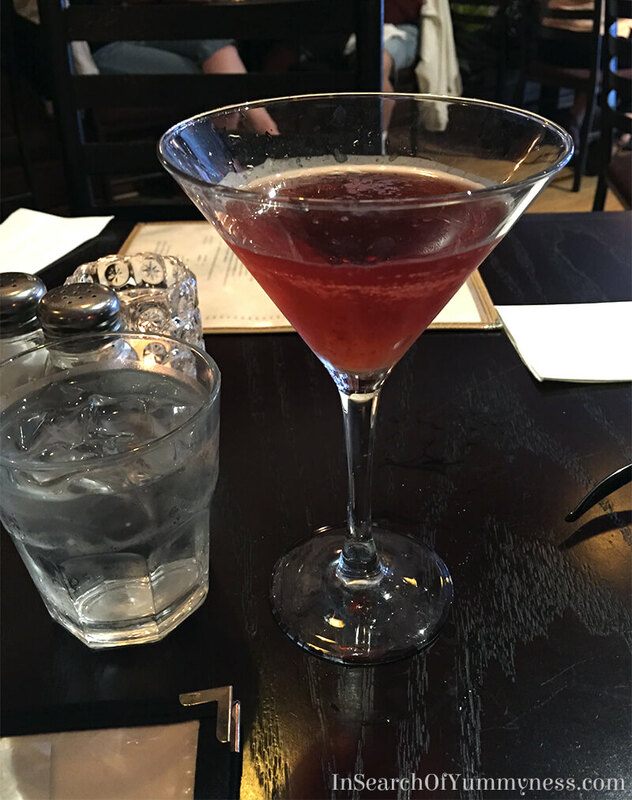 We also ordered alcohol, so the bill was a bit more, but it was still a very affordable dinner. For my starter I went with the Arancini Stuffed with Porcini Mushrooms, which was served with basil pesto truffle aioli. 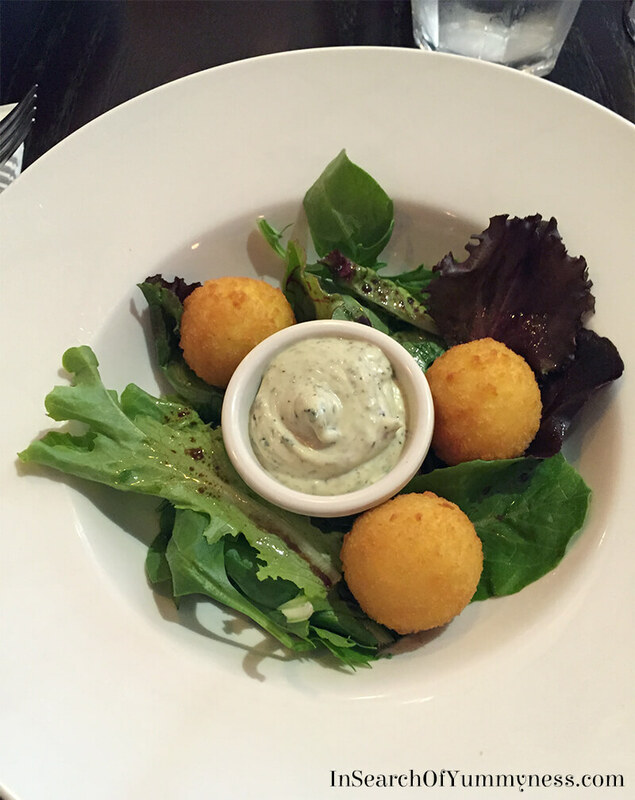 I was disappointed to discover that the arancini was served on a salad. I really wasn’t in the mood for salad. But I have no complaints about the arancini or aioli! The fried risotto balls were crunchy on the outside and creamy in the middle, and the aioli dipping sauce was very flavourful. I just wished that the arancini were either bigger, or there were more of them to enjoy that sauce with. Tori started with the Leek and Potato Soup with white cheddar cheese, which she really enjoyed. I had a taste and was impressed with the velvety texture and rich cheesy flavour. 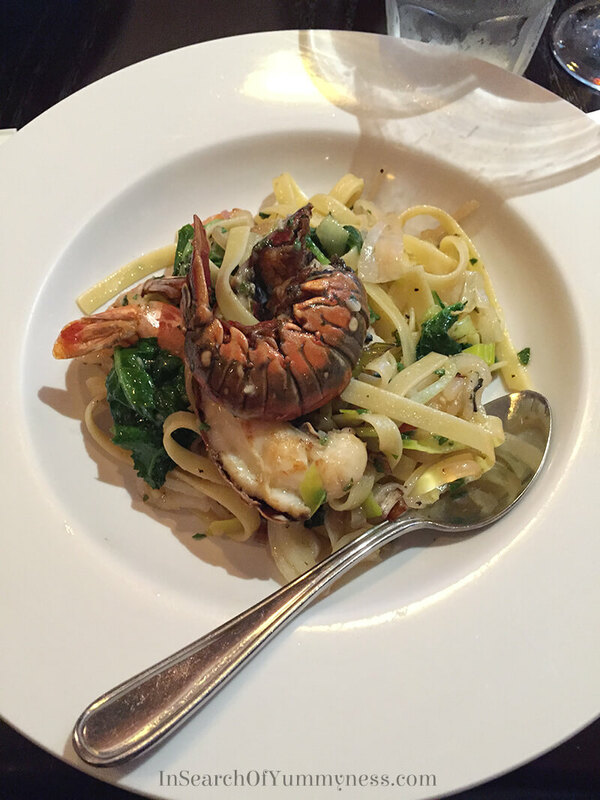 For our mains, we both opted to go with the Fettuccine with Lobster Tail and Black Tiger Shrimp. This light pasta dish also had leeks, red onions and baby kale tossed in a sage brown butter sauce. Honestly, this dish wins just for making kale super delicious! I like my massaged kale salad, but otherwise I’m not entirely on the kale bandwagon yet. Before we moved on to dessert, we ordered some hot tea. 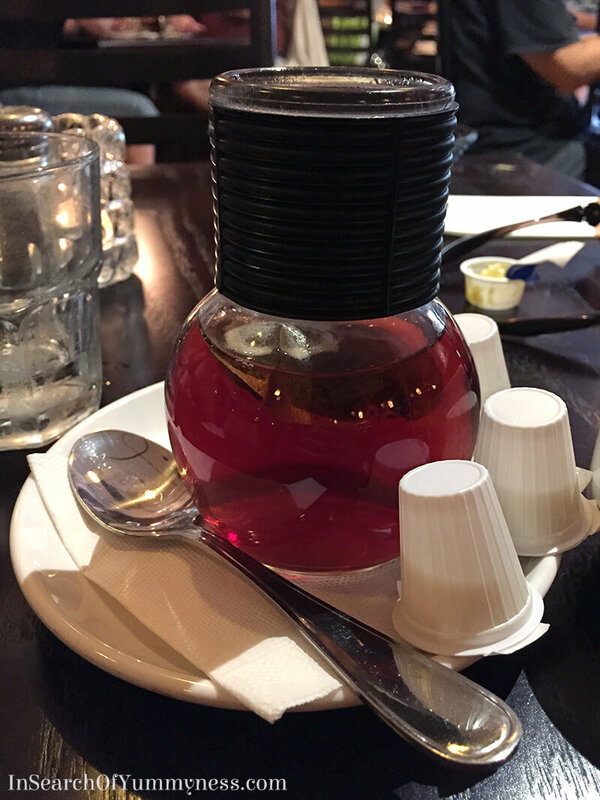 I love the bottles that they serve their tea in – even if they aren’t the most practical when it comes to pouring. 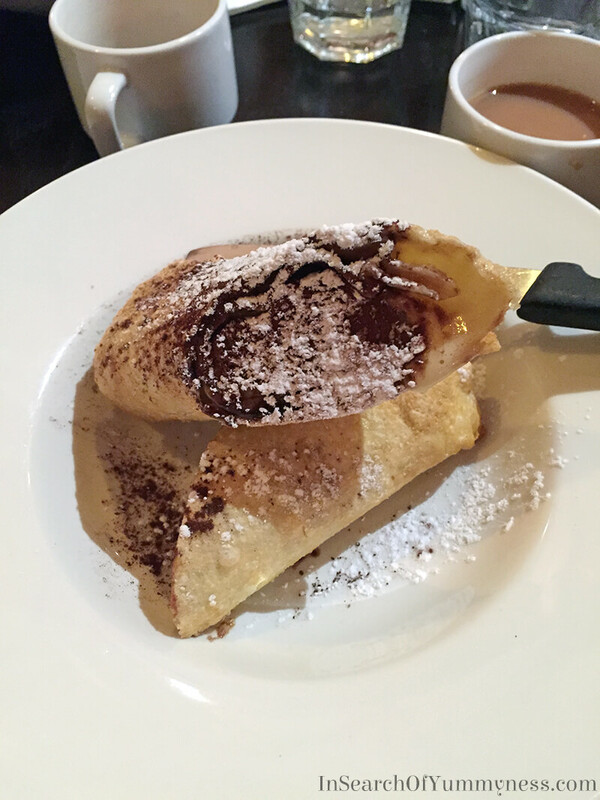 For dessert, we both ordered the Deep Fried Tiramisu. I was disappointed with this dish. It had obviously been sitting in the freezer before we ordered, then flash fried in hot oil. The middle of my dessert was still frozen, and I didn’t think it tasted that great overall. Tori enjoyed hers though, so it’s definitely a personal preference situation, and not necessarily because it’s a “bad” dish. I paid for this meal.